The Death Penalty – Yea or Nay? To discuss capital punishment/the death penalty in Singapore and Singaporeans’ perspectives and feelings about it. A/Prof Chan Wing Cheong will share the history of the death penalty in Singapore, cases by law on the Death penalty and share some cases that ask for our greater discussions. 2: What do Singaporeans have to say on the Death Penalty in Singapore? A/Prof Tan Ern Ser will speak on Singaporeans approach to the Death Penalty and share findings done by the NUS and SMU teams who had as their consultant Prof. Roger Hood from Oxford University who started this whole survey for Commonwealth countries and also shared his views with Dr Michael Hor, when he was at NUS. 3: Why Some countries believe in the Death Penalty? Assistant Professor Jack Lee Tsen-Ta will highlight countries that have death penalties and why they justify the DP as a form of punishment. 4: Why the death penalty should not be in Singapore anymore? Mr M. Ravi will highlight countries that do not have the death penalty, as a means to punish perpetrators. 5: A Good Shepherd Mission Sister will share her experiences in a speech that the moderator will read. 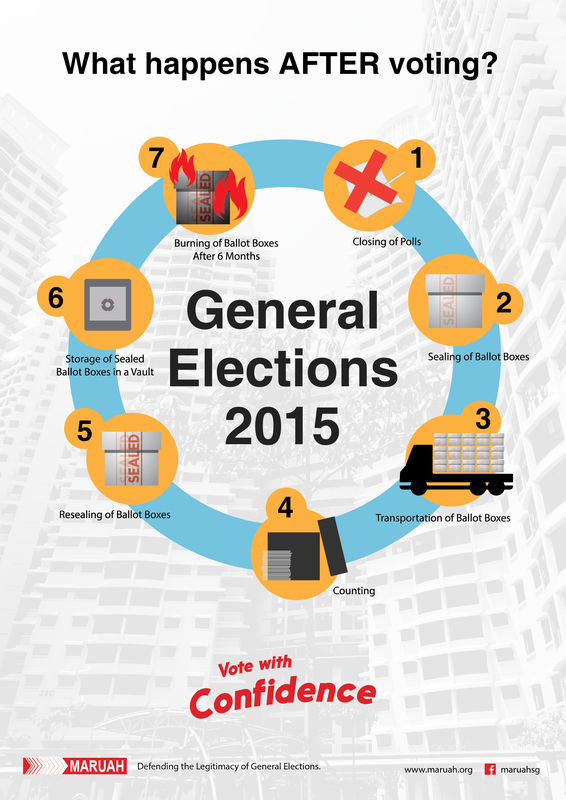 A paper based on the results of the forum will be put together and shared. To attend this discussion, please register at our Facebook event page below. Please see below for a research paper written by Ms Elsy Byuma, a law student from Belgium, on the role of the press in Singapore. 1. This statement is delivered by MARUAH Singapore, on behalf of Civil Society Organisations and individuals who have participated and followed the UPR process. “MARUAH” is a human rights NGO with special consultative status on the United Nations Economic and Social Council (ECOSOC). 2. There were 2 government-organised consultations held in Singapore. 3. MARUAH held 3 open consultations with various Civil Society Organisations (CSOs), individuals and university students. 4. Since the 2011 UPR, the Government has ratified the Convention on the Rights of Persons with Disabilities in 2013, acceded to the United Nations Protocol to Prevent, Suppress and Punish Trafficking in Persons, Especially Women and Children (UN TIP Protocol), often known as the Palermo Protocol in 2015, made legislative changes to the mandatory death penalty, thus introducing discretionary approaches and signed onto the Convention on the Elimination of Racial Discrimination. 5. The Government has organised more consultations without CSOs asking for it. Seemingly the government is becoming more open in discussing matters with civil society though the number of people being hauled up under various laws, continues as a deterrent to shut the voices down. 8. The aim of asking for interventions through questions and recommendations is for people in Singapore to be able to move away from this fear-ridden climate that we are embedded in. Alex’s slides can be found here and his thoughts on the issues raised at the forum are on his Yawning Bread website. Prof Lee’s slides on legal and procedural issues related to the election. 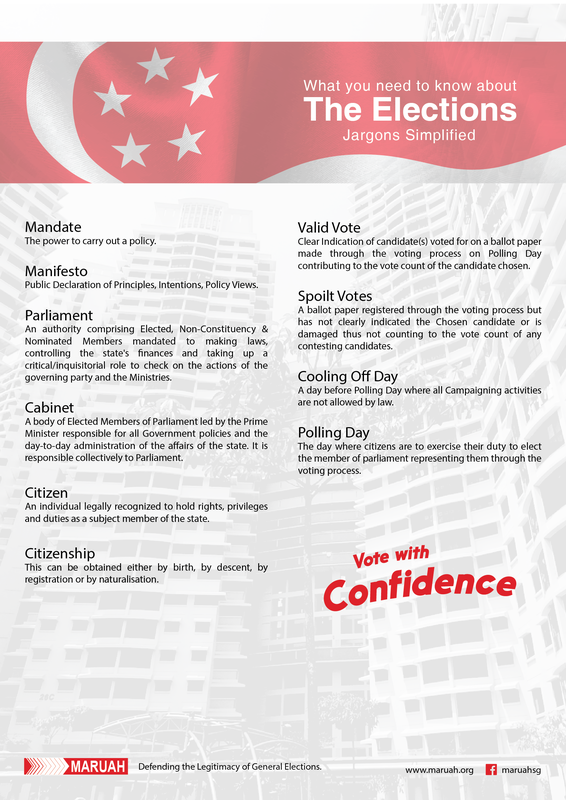 The SMU Apolitical Club has released “A Guide to General Elections in Singapore”. Not to worry if you haven’t been able to get your hands on this very informative booklet. It’s freely available for download from their website. Excellent work on the part of the students and other members of the SMU community.